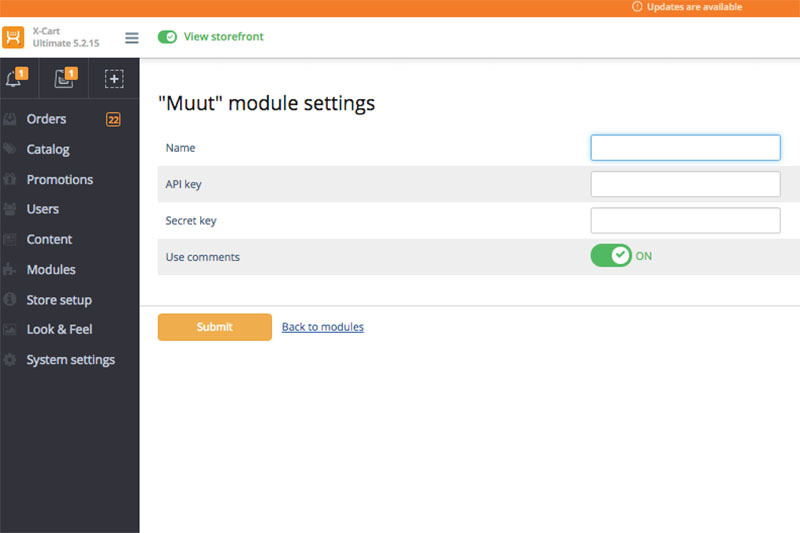 The module integrates your store with Muut services. Use Muut to build your community and make your store more engaging for customers. Add comment and forum widgets, communicate with your store visitors, ask them or answer their questions, let them talk with each other to share ideas and experience and to discuss things. The module allows you to add comment widgets to product pages and forum widgets to static pages in your store. Each forum is tied to the URL of the static page in your store, so you can have different forums on different pages.